So just what is Retail Watch? I’m establishing this new “blog” as a collection of thoughts, musings, and opinions specifically related to the worlds of fashion, retail, beauty and brands. As an Art Director/Designer with over 8 years experience in these areas, I have a deep understanding of how this crazy world works. I also love brands (a lot of people say that, but I really do), and I have LOTS of opinions. This blog will of course live on, but I want to focus my portfolio site/blog about all this fashion and retail, and focus this blog on design and inspiration. So worry not! Fashion is a strange type of magic. It’s art that you live in. Or it can be. Once upon a time, fashion was about labels, and the status they carried. Labels evolved into brands, then lifestyle brands, and experiences and now they touch every aspect of what we see and do. And while todays retail landscape is more challenging than ever, there’s also more opportunity than ever. So what can brands do? There’s not one simple solution. But it has to be about ideas, innovation and experiences. 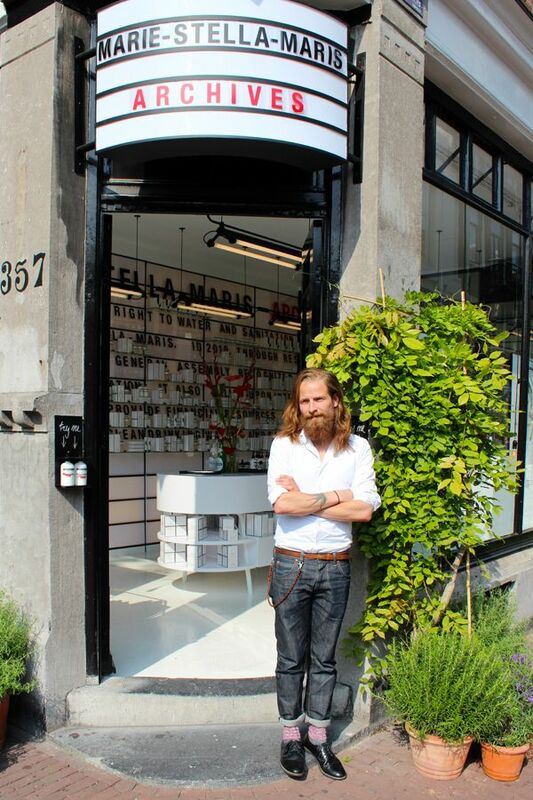 The solution has to go BEYOND retail. And that’s what I’ll explore on this blog. Gap is off to a great start with their newly launched Generation Gap campaign. Nordstrom has their pop-in shops, H&M/Nike and Adidas has their design/artist/athlete collaborations. Can retail move forward by looking back? I think so! What happened to all those regional department stores we grew up with? What made them unique and special? What about certain brands creates a connection that lingers? That’s what I want to explore! Feel free to follow, comment, share and let’s start a conversation. 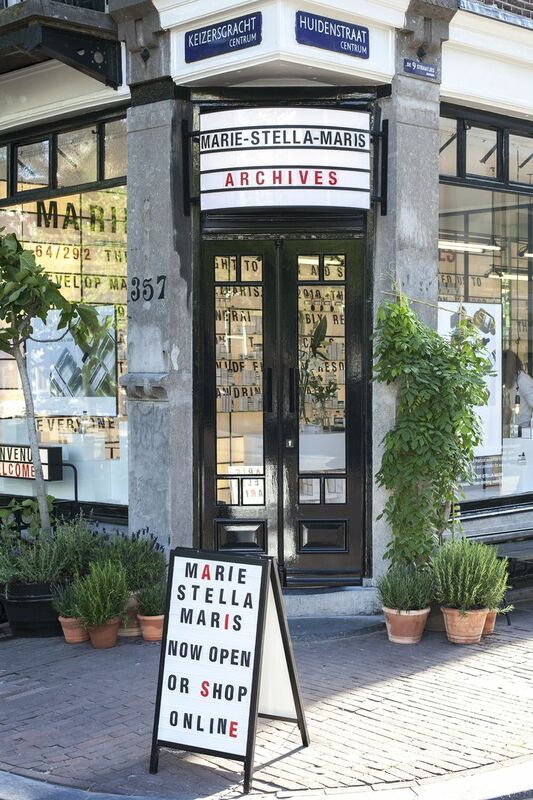 The next time you find yourself in the Netherlands, you’d be mad to not check out the beautiful flagship store of lifestyle brand MARIE-STELLA-MARIS. 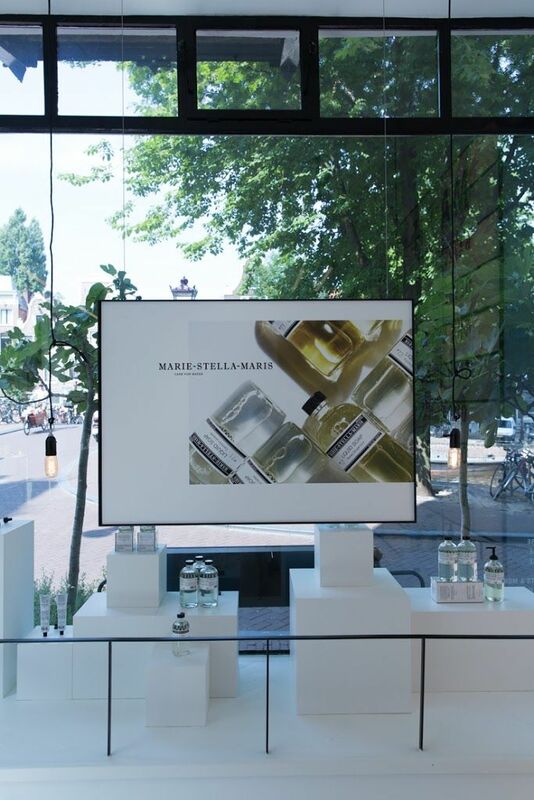 Located in central Amsterdam, MARIE-STELLA-MARIS sells body, skin, and hair care products in addition to it’s namesake line of Mineral water and home products. 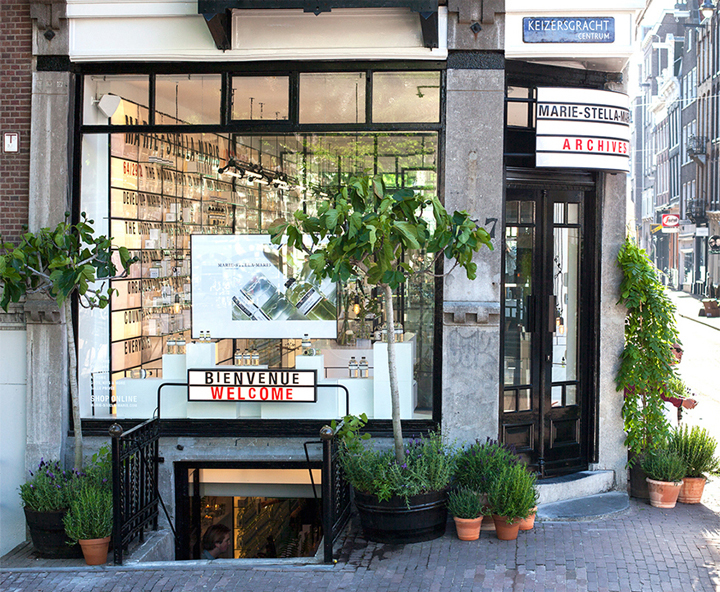 This store is a graphic designers paradise, bold graphic typography, beautiful packaging and advertising, and a tastefully-designed interior to bring everything together. MSM was founded by founded by Patrick Munsters, who strongly believes in the idea of taking care of one another. 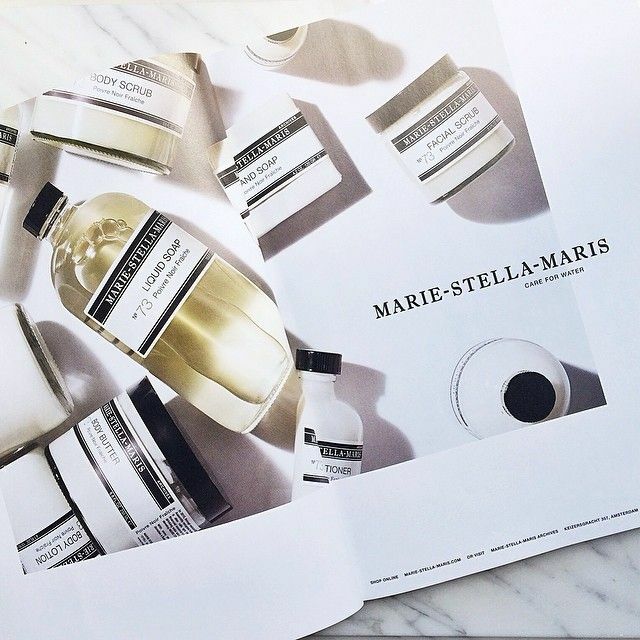 MSM products are made with only the finest natural ingredients, and for each product you purchase, MARIE-STELLA-MARIS donates a fixed amount towards clean drinking water projects worldwide. 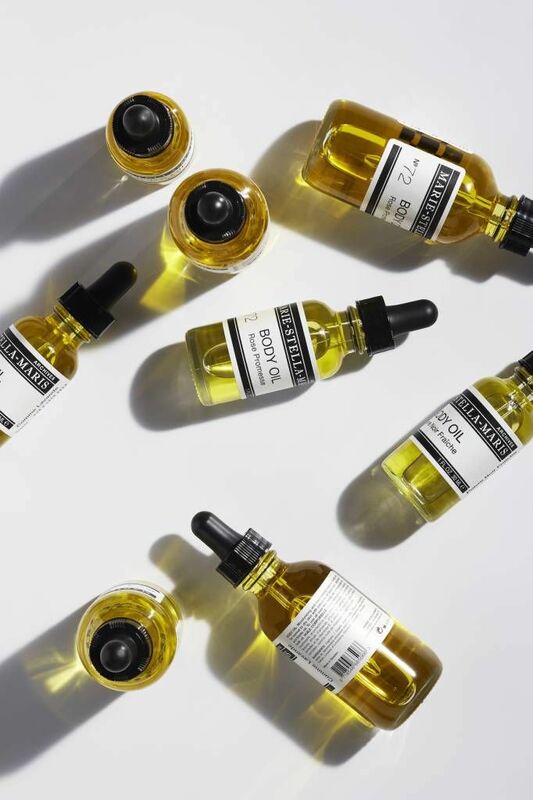 I’m pretty much in-love in every aspect of this brand, from their mission, to their branding, store design and packaging. All of it is so clean, graphic and minimal. And by supporting this brand, you’re helping someone in need. It’s a win-win! 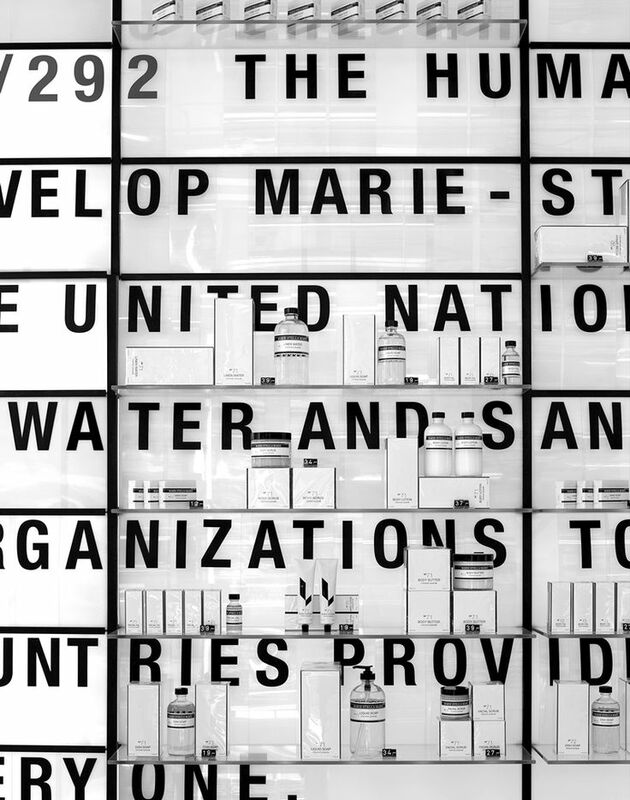 So get into world of MARIE-STELLA-MARIS, and check out their website and foundation here. Get into it! Isn’t their production photography + advertising beautiful?? (above and below). Totally obsessed! 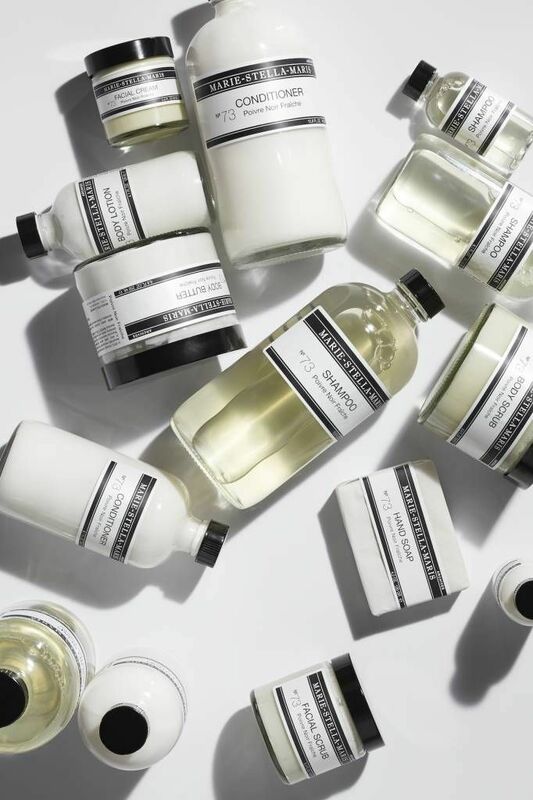 You can buy their products online here, and they even offer international shipping! Get into it. Several months ago I heard that “& Other Stories” (along with COS!) 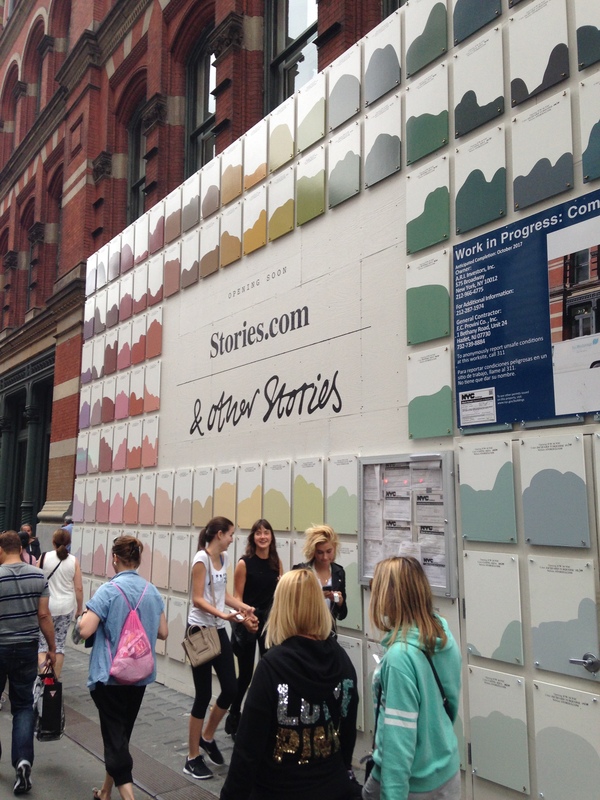 are opening in NYC’s Soho neighborhood, as part of H&M’s mission to take over NYC. I’ve followed & Other Stories on tumblr for a while now, not realizing they were soon opening here. A few days ago I heard they installed a new hoarding barricade to create anticipation for their new store opening. Yesterday I decided to take a long walk home just so I could pass by in person. On the barricade are dozens of hand-painted colored tiles. 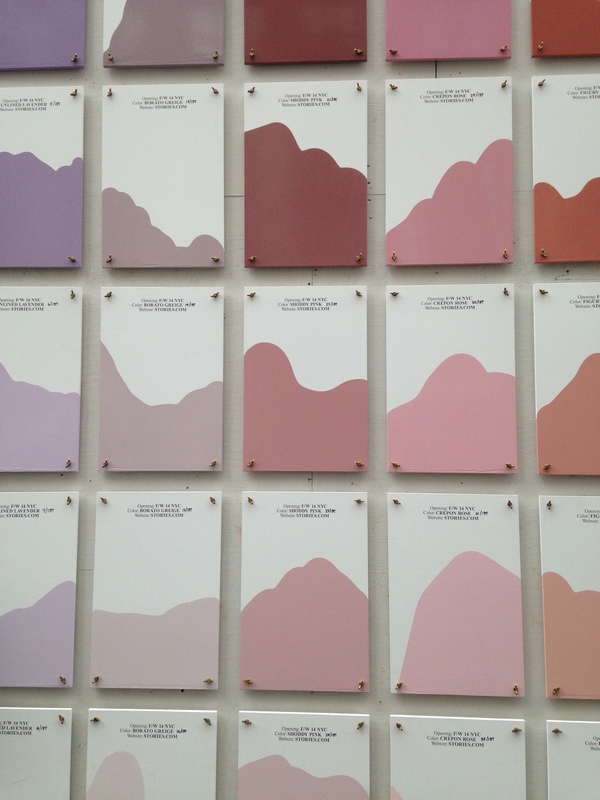 Such a simple idea turned into an beautiful art instillation. 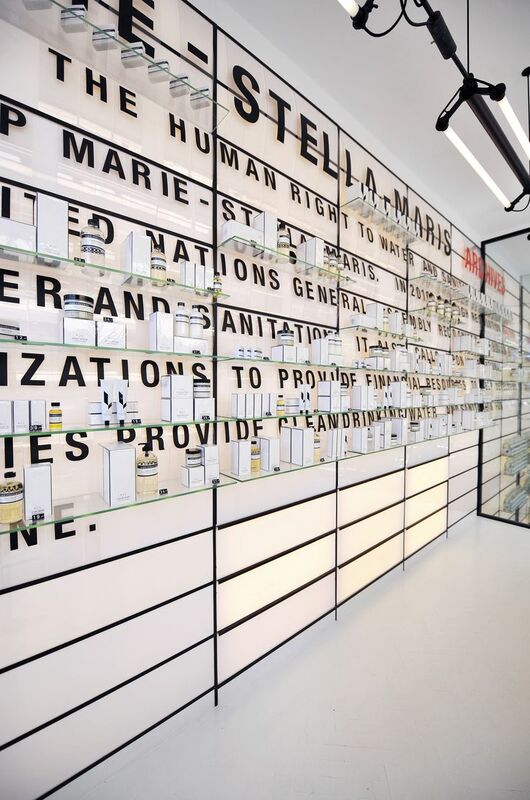 As someone working in retail store design, I think this is a really great idea. Take a look below a some of the process images & Other Posted, and if you’re in NYC check out this beauty before the store opens soon. Get into it! Awesome colors right? See the process below! 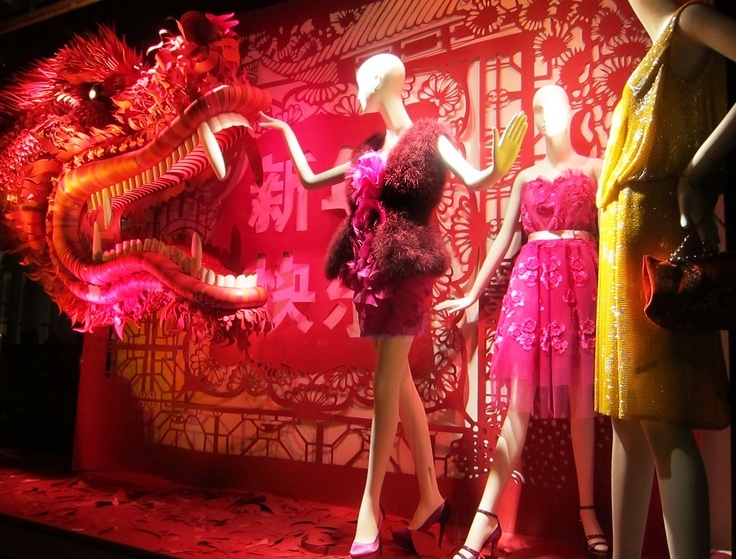 Bergdorf Windows – Day Two! 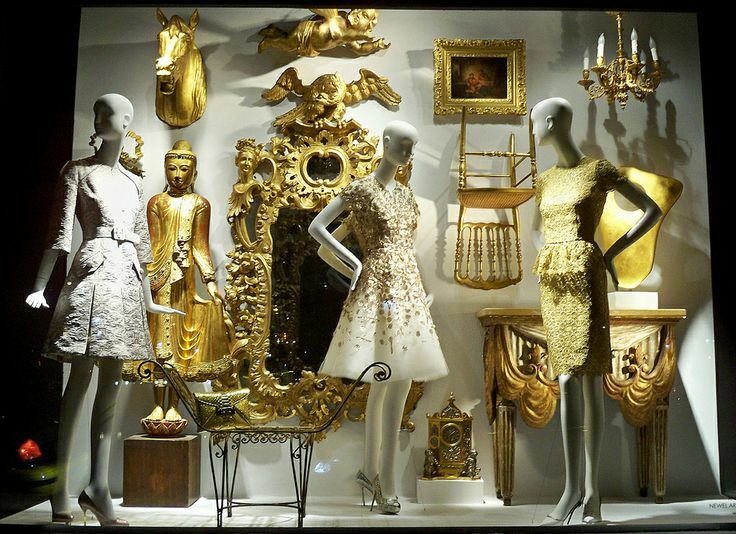 A few days ago I blogged about the beautiful store windows of Bergdorf Goodman, and as promised, here’s a few more of my favorites! 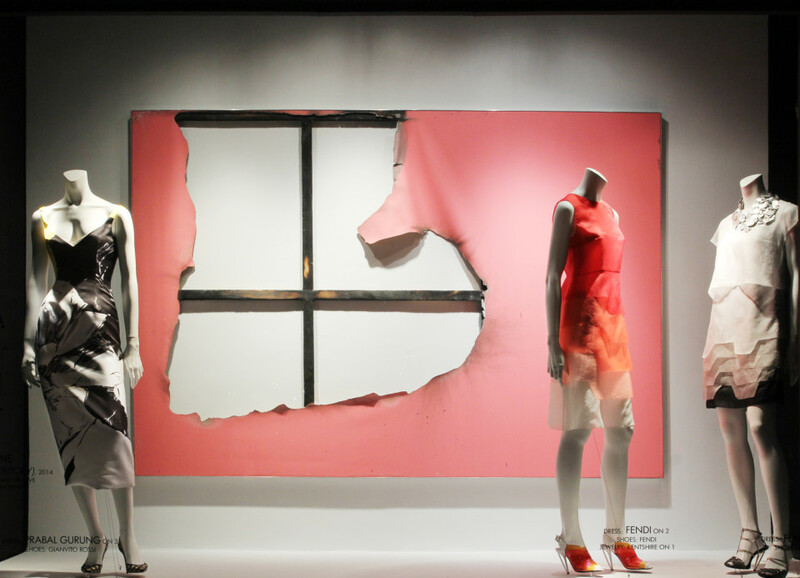 First up are the spring 2014 “Art Matters” windows (pictured above and below). 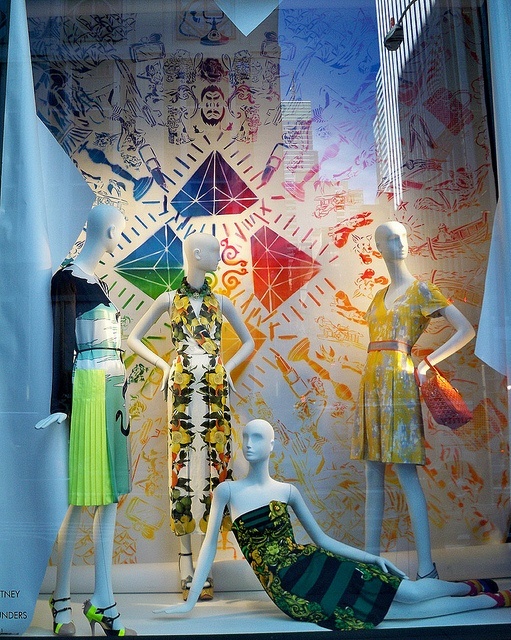 For this set of windows BG commissioned 10 artists to design 10 windows for the store celebrating “Art” as their muse. I especially love the image with custom wallpaper by artist Adam Parker Smith (above). The wallpaper was created by arranging hundreds of tiny 3D objects together to create a patterned wallpaper. The picture doesn’t really do it justice as I was lucky enough to see this in person. 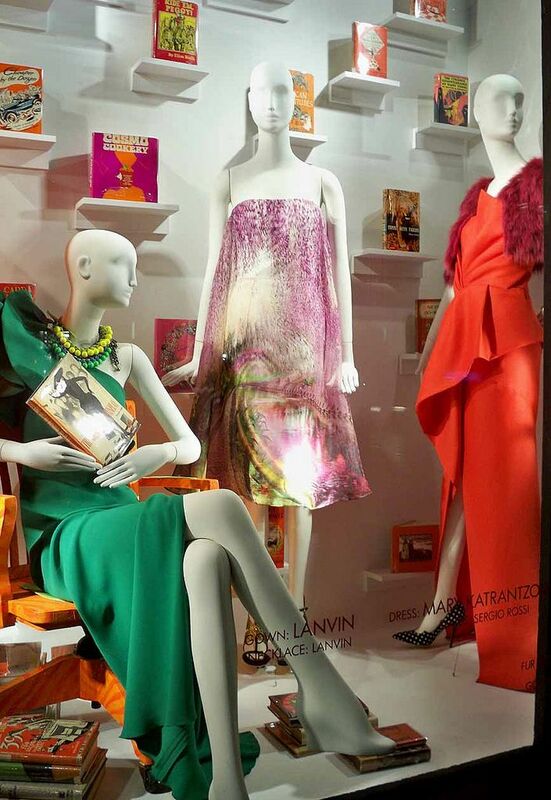 Also the clothes displayed in the window matched the concept so perfectly. If you’re digging the look of this, check out Flat Vernacular’s wallpaper that follows the same idea. Moving along, I love the series of mannequin-inspired windows (further below), as I’m obsessed with mannequins!! 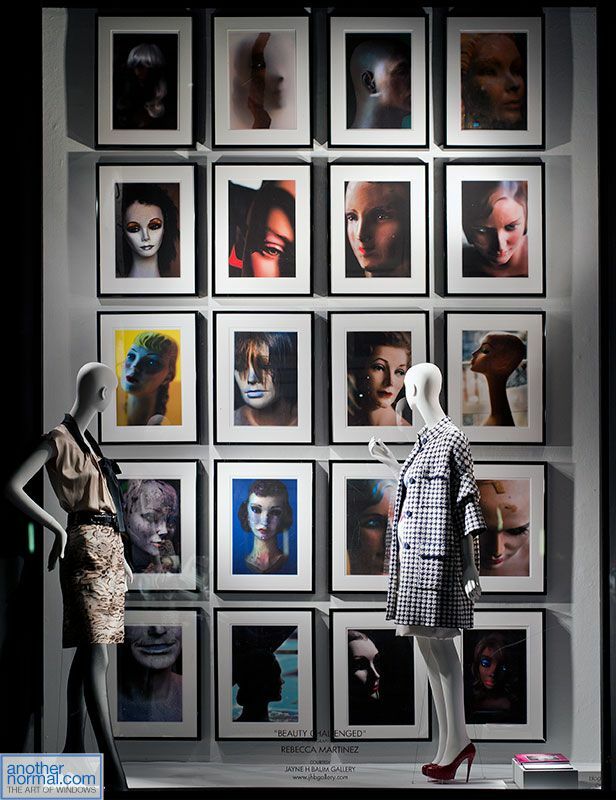 From all my jobs in fashion/retail, I’m surrounded by mannequins and there’s just something about them. They’re a little bit creepy and a little bit fun. 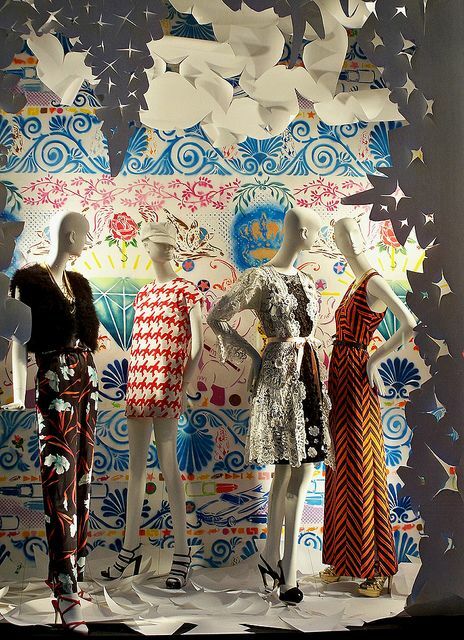 So I love that BG created a series of windows with mannequins as a focal point. 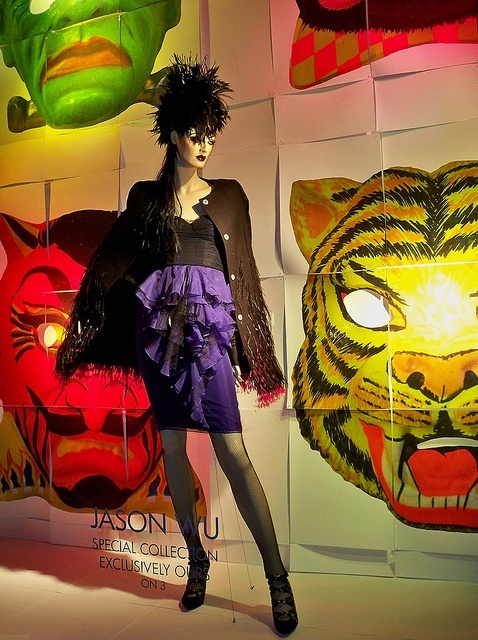 Lastly, I wanted to share BG’s holiday windows celebrating Halloween + Jason Wu. How great are the masks? I like how BG takes one idea (like Halloween masks) and fleshes them out in different ways: masks printed and titled on paper, lots of small mask gridded on a wall, etc etc. Great right? 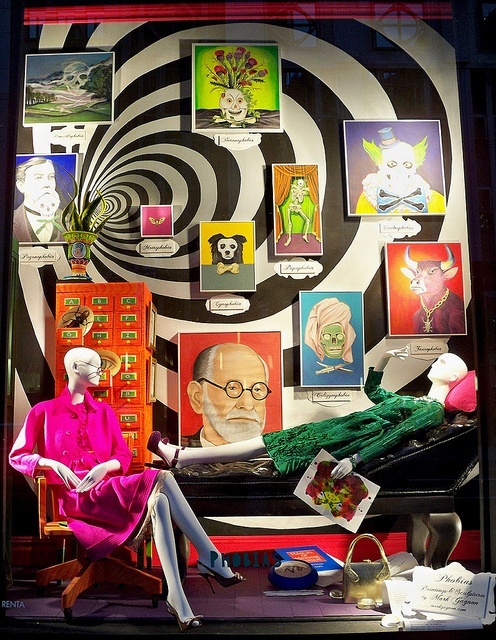 Hope you enjoyed this second look into the legendary store windows of Bergdorf Goodman. Get into it. Tom Ford “Art Matters” window above. 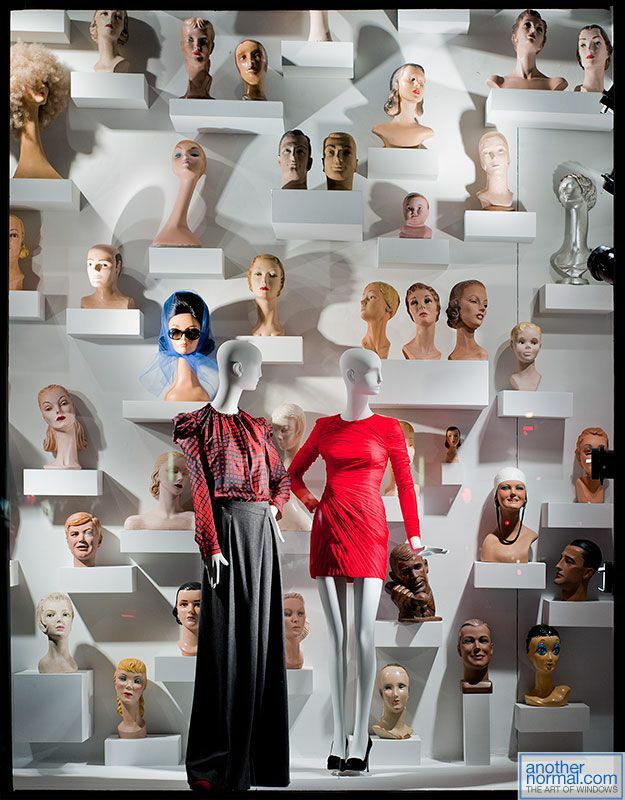 Mannequin-inspired windows (above and below). Love how BG took this idea and presented it so many ways. 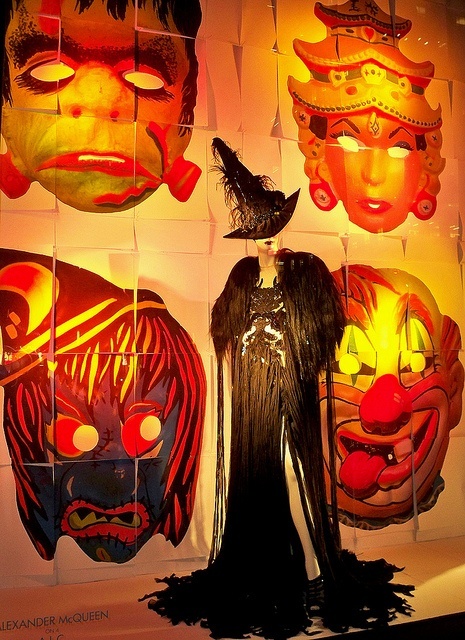 Love this series of windows, what a playful way to present Halloween windows. I just wish these photos had been taken during the day! 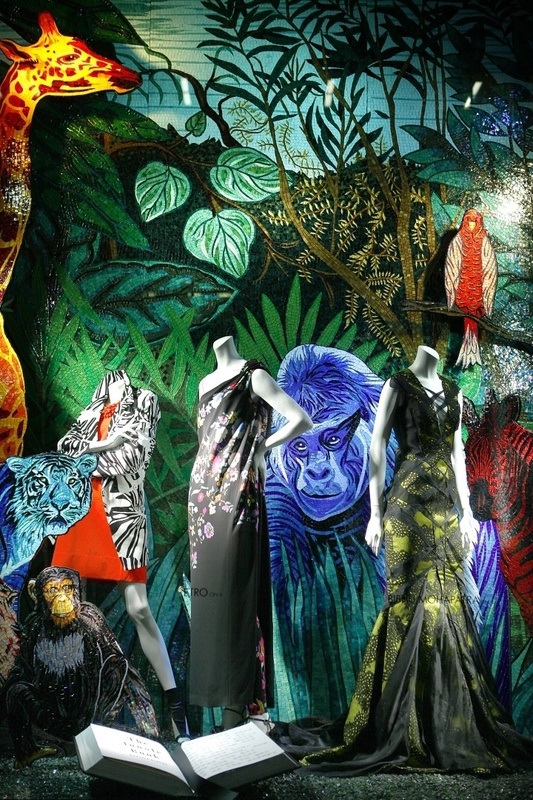 Bergdorf Goodman windows inspired by The Jungle Book by Rudyard Kipling (above). 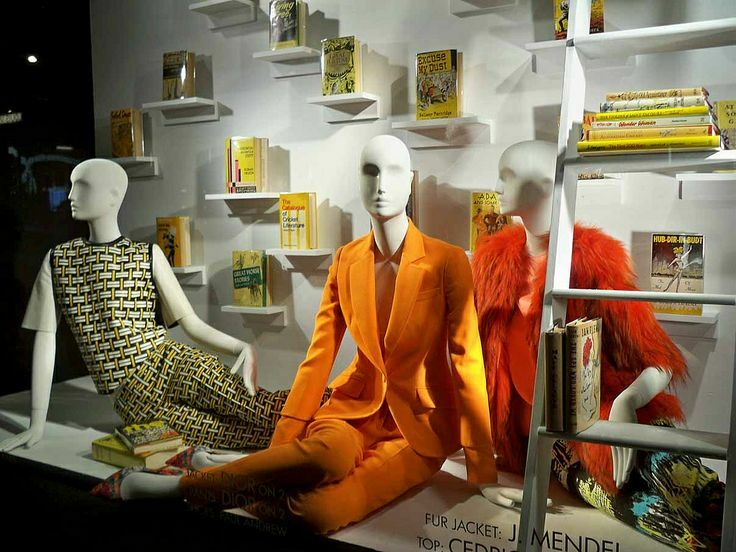 Last fall I blogged about Bergdorf Goodman’s windows celebrating Diana Vreeland’s Memos book, and since then I’ve become more and more obsessed with their store windows. 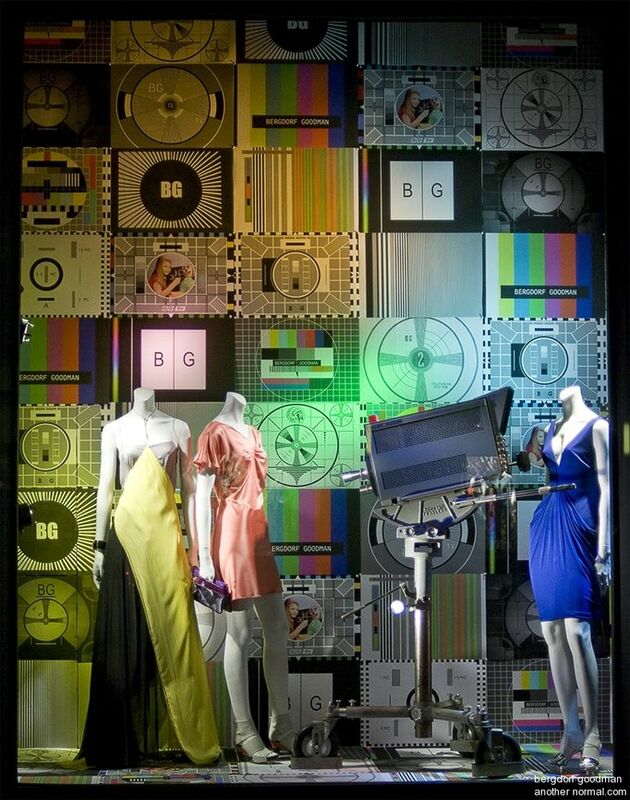 There is probably no store in the world as highly regarded as BG for their store windows. 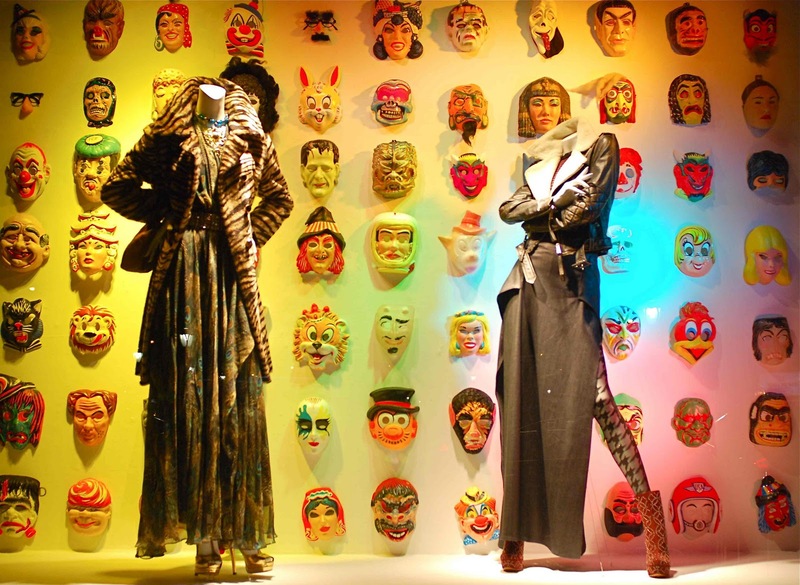 Most are truly custom art installations showcasing clothing from the best (and most exclusive) fashion designers in the world. This week I’m going to share a few of my (many) favorites. 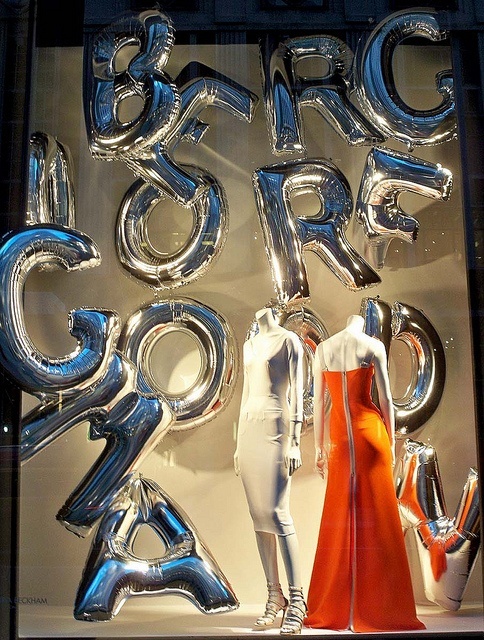 If you want to read more about their windows, BG has a section of their blog decided to just their windows here. 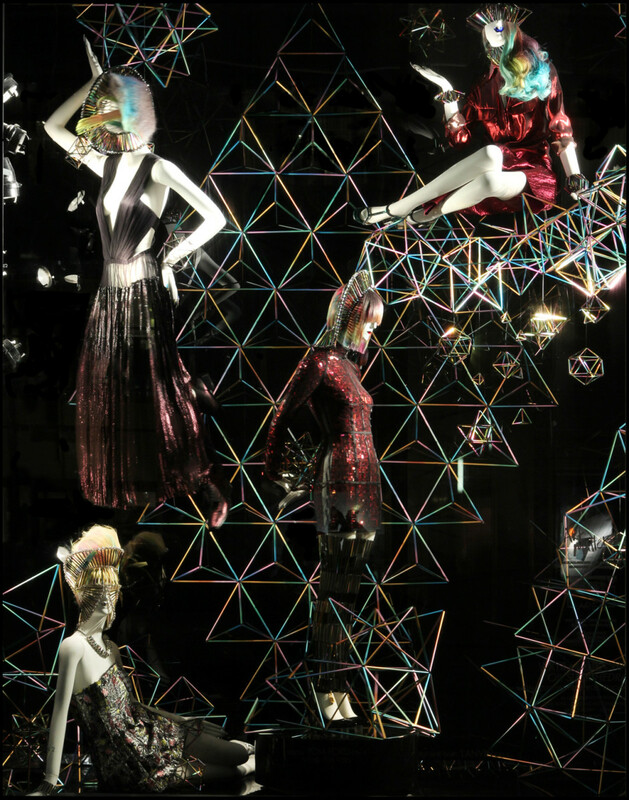 Also check out the documentary Scatter my Ashes at Bergdorf’s which documents the history of this legendary department store and follows the creation of their iconic Holiday windows. Now that my working world is consumed with all things retail and window design, I can now fully appreciate the skill, design and planning that goes into creating these works of art. 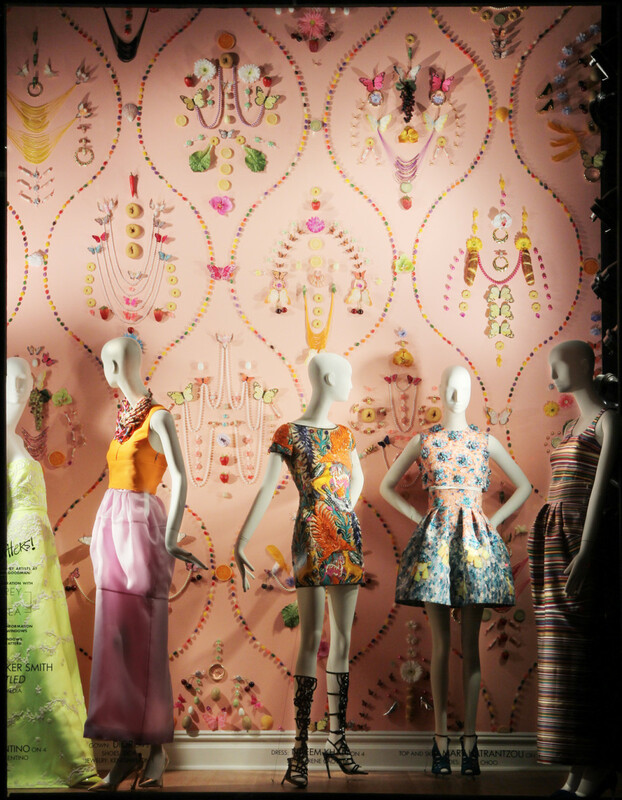 So next time you’re on 5th Avenue in NYC, check out Bergdorf’s window – you’ll be happy you did! 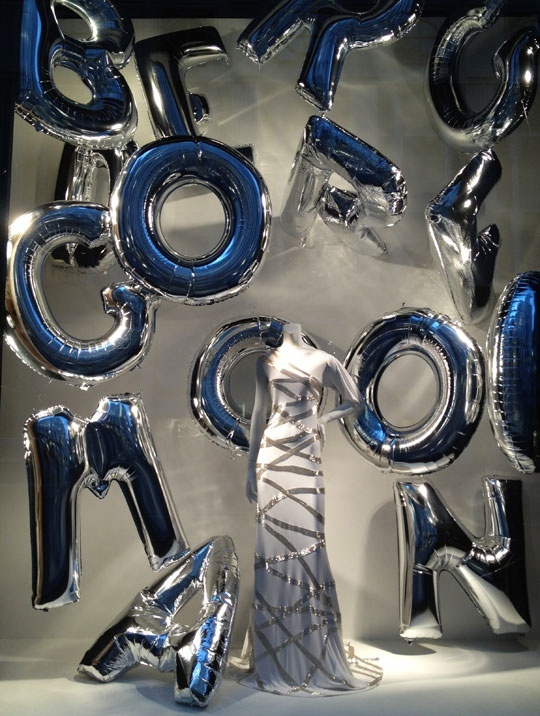 These typographic balloons are everything (above). 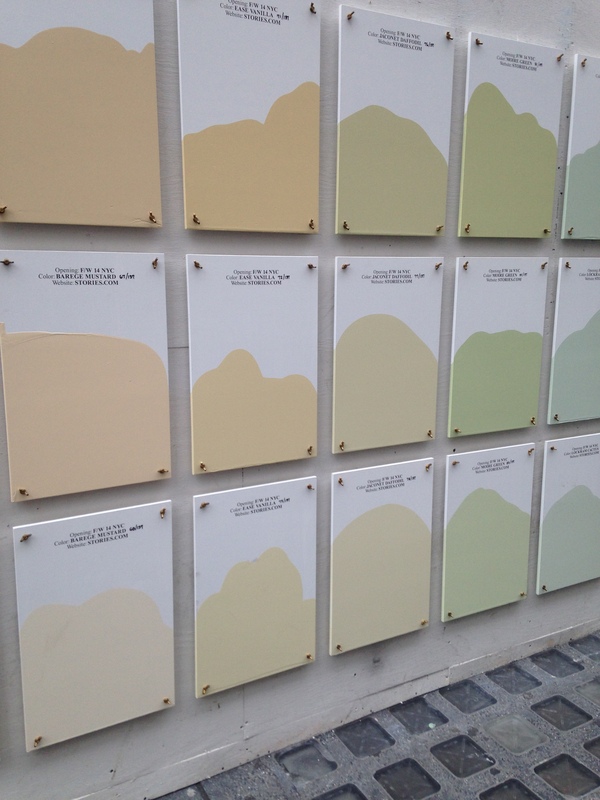 I’m betting these windows inspired J.Crew’s store opening windows in London (above & below). 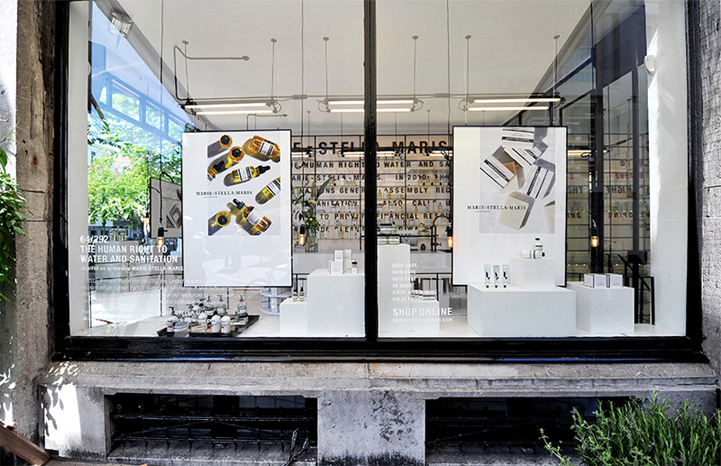 For these windows, BG partnered with paper artist Sean Slaney to create these BEAUTIFUL windows (above & below). Book lovers unite! BG celebrates its favorite tomes with a special exhibition of vintage books featuring hundreds of books hand-selected from the Seventh Floor’s The Cary Collection (above and below). Love this analog/Television-inspired window (above). Hope you love these windows as much as I do. Stay tuned for more BG windows this week!